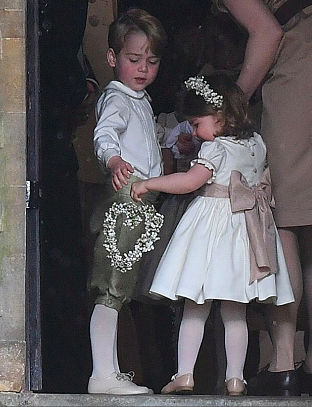 Prince George as pageboy and Princess Charlotte as a flower girl arrived to the Pippa Middleton and James Matthews at St. Mark's Church in Englefield, Berkshire on May 20th 2017. 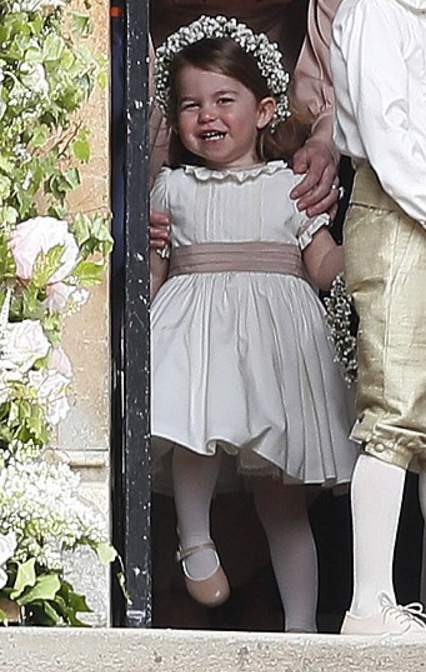 Princess Charlotte was wearing Mary Jane Shoes in Beige and Ceremony Cream Tights, all by Pepa & Co. 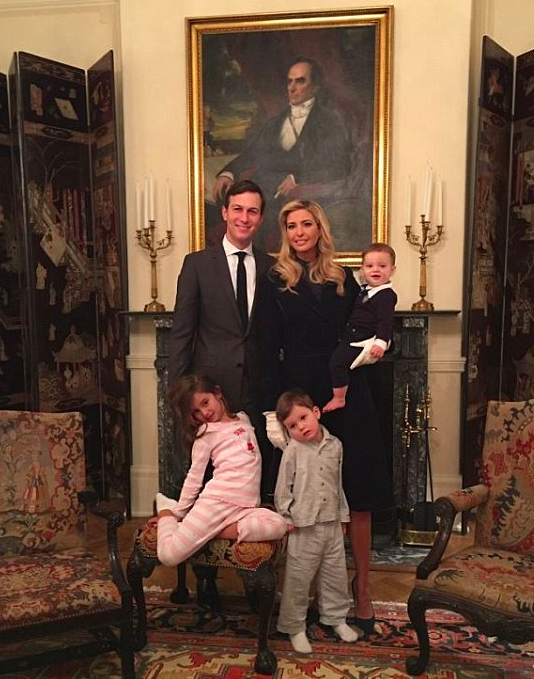 The dress was also custom-made by Peppa & Co.
Arabella Kushner, daughter of Ivanka Trump, had a very fancy sleepover at the historical Blair House on January 19th 2016. Arabella was wearing Olivia Pink Stripe Pajamas from Books To Bed collection. 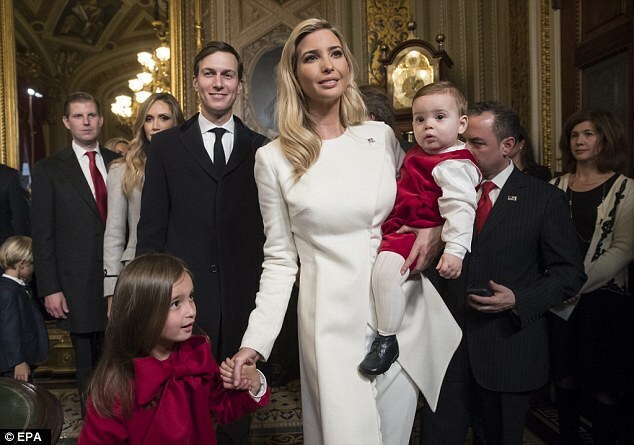 Arabella Kushner attended an National Prayer Service at the Washington National Cathedral on January 21st 2016. Arabella was wearing custom made White Wool Coat by Petit Peony and Olympia Bow Shoes in Navy by Marie Chantal. Theodore and Joseph are also wearing custom made coats by the Petit Peony brand. Arabella Kushner pictured arriving to Washington DC on January 19th 2017, ahead of her grandfather's inauguration. Arabella was wearing Red & Navy Colorblock Patent Leather Mary Janes by Jacadi and custom made Navy Wool & Velvet Collar Coat and Navy Velvet dress both by Petit Peony. 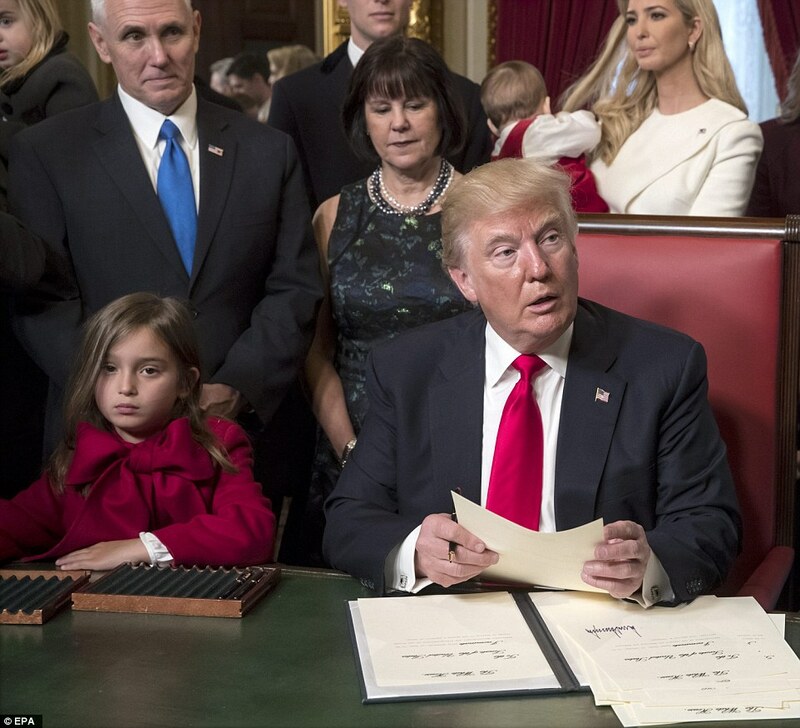 Arabella Kushner with her grandfather in White House on the Inauguration day, January 20th 2016. Arabella wore custom made Red Wool Coat with a Bow similar to this coat from FW14 Collection, Sabrinas Red Velvet Ballet Flats and Red Ribbed Tights, all by Oscar de la Renta. Floral print is my favorite from Pale Cloud AW15 Preview! Preorder here, available September 18th 2015. Buckingham Palace tweeted: Prince George's first appearance on the balcony wearing the same outfit his father wore at HM's Birthday Parade 1984. 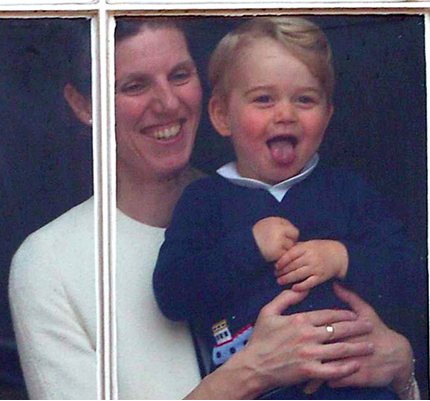 Later Prince George was seen watching the Parade from the Buckingham Palace window with his nanny. Prince George was wearing Alfie Boat Cardigan by Thomas Brown available at Trotters UK. Just in time for Christmas! 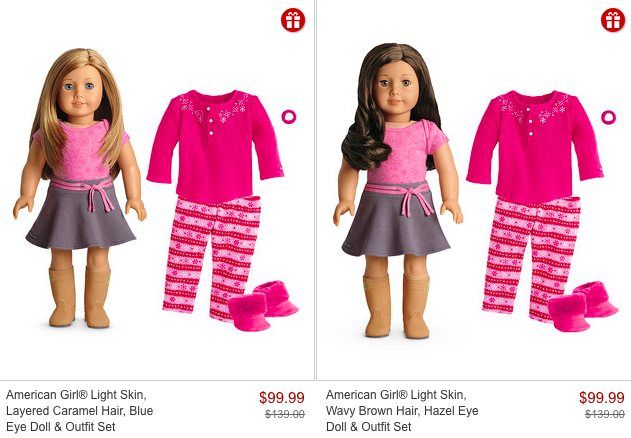 Get a new doll for your little Princess - MYAG Dolls on sale with cozy pink pajamas! Nori West was wearing Black Goat Fur Cape by Dlux (sold out) with Kitten Loafers from INCY by Charlotte Olympia, while out with Kim for a spa trip in Beverly Hills, CA on November 29th 2014. 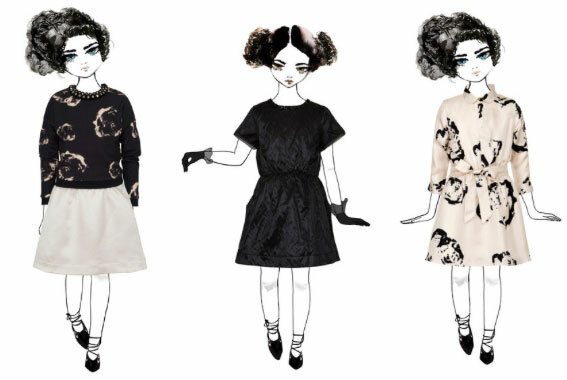 Kitten Loafers by Charlotte Olympia were first seen with Nori's Halloween Costume, when she dressed up as André Leon Talley (the former American editor-at-large for Vogue magazine). 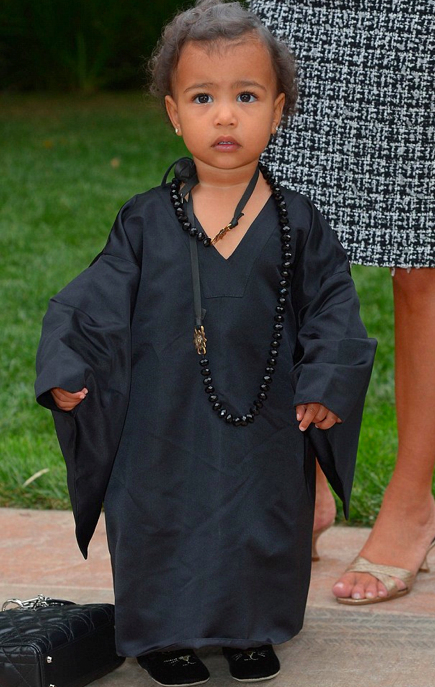 Nori West was wearing Mimi Two Pom Poms Hat by Eugenia Kim while visiting the Zoo on November 14th 2014. Nori West was wearing Chet Dip Grey Melange Sweater by Acne Studios Mini, while out in NYC on November 6th 2014. 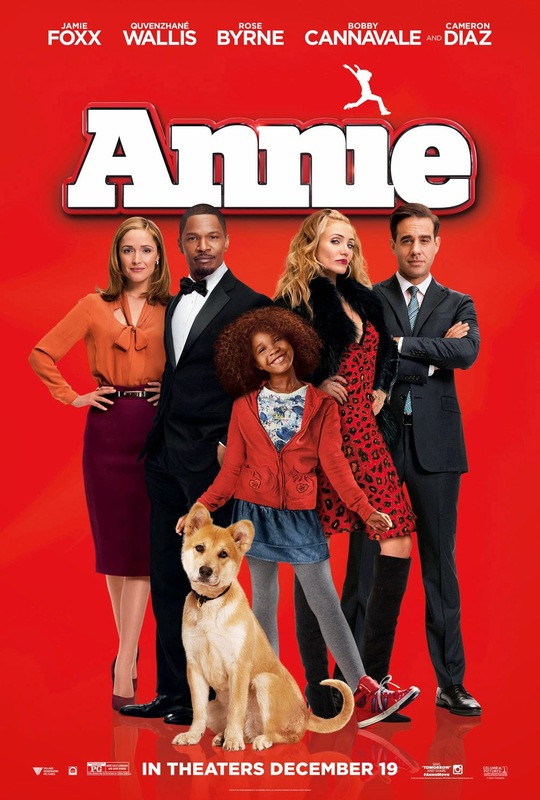 The highly anticipated remake of American classic "Annie" will hit theaters on December 19th 2014. 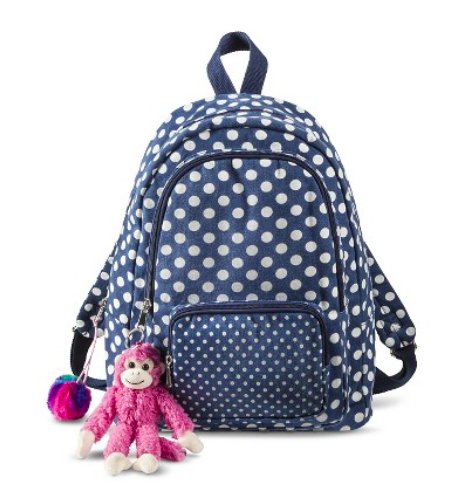 Target has just released a part of Annie's wardrobe for everyone to shop! From the trailer you can see that clothes included in Target's collection is mostly from Annie's time of living at the orphanage, the range is cute nonetheless. 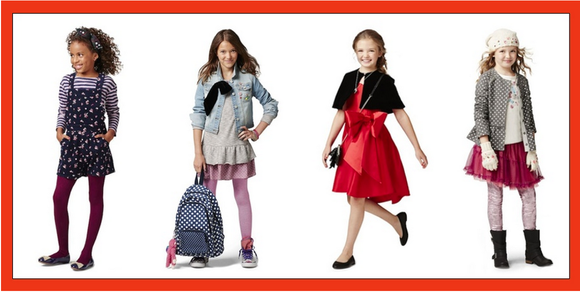 The Red Bow Dress will be perfect for Christmas and the Velveteen Band Jacket +tutu will make a great outfit to see the Nutcracker! 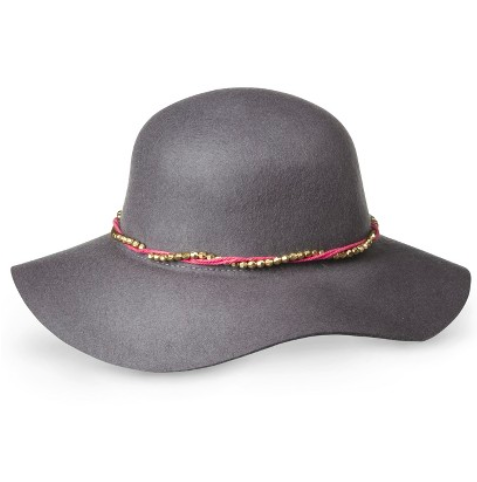 The quality of clothing is satisfactory, only the locket does not look like it will last long especially in child hands..
We also went home with a Felt Floppy Hat and Polka Dot Backpack! 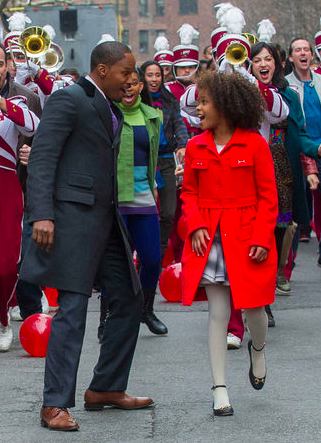 If you are wondering, THE amazing Red Horsebit Coat and Shoes are from Gucci ($$$) and it does look familiar - Zahara Jolie Pitt wore similar coat in 2011!